Teacher, learner, reader, curator... I ❤ English & Tech. 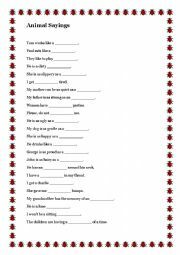 Improve your vocabulary with this worksheet about adjectives ending in "-ful" and "-less". 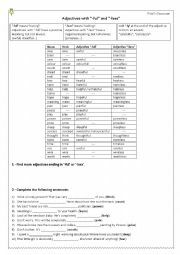 Practise word formation. Theory and exercises. Key included. 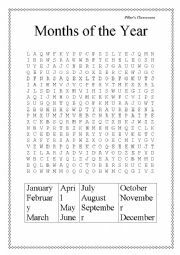 Pilar´s Classroom: Wordsearch: Numbers 1 to 20. 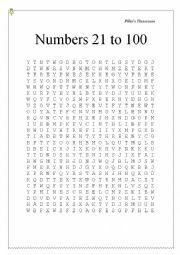 Pilar´s Classroom: Wordsearch: Numbers 21 to 100. Watch the video, listen to the song, and fill in the gaps. The song is: Everybody (Backstreet’s Back) by Backstreet Boys. You can use it to speak about Halloween, your favourite monster, etc. (Key included). 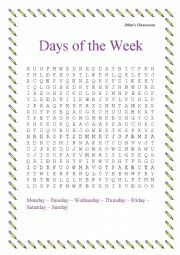 Pilar´s Classroom: Wordsearch: Days of the week. A funny song from a Nike ad. Watch the video, listen to the song and fill in the gaps. 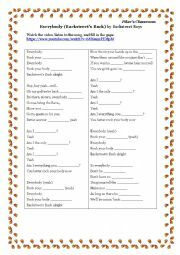 (Key included) You can also use it as a speaking and writing prompt. Pilar´s Classroom: Months of the year. A funny song from a Nike ad. Watch the video, listen to the song and fill in the gaps. Watch the video, listen to the song and fill in the gaps. ´Kiss The Rain´ by Thriving Ivory (Listen to the song and fill in the gaps). 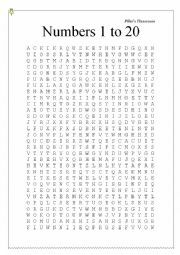 Find the 12 adjectives hidden in the wordsearch. 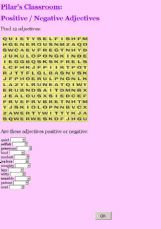 Are they positive or negative adjectives? 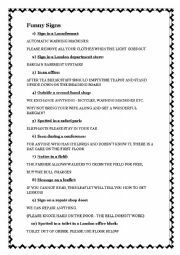 A list of useful sayings with animals. Watch the video, listen to the song, and fill in the gaps.